William Terry Hinshaw2 [Terry Hinshaw3]. North Carolina, Birth and Death Indexes, 1800-2000; http://www.ancestry.com. "The High Point Enterprise" (High Point, North Carolina), Sep 7 1969; http://www.ancestry.com. 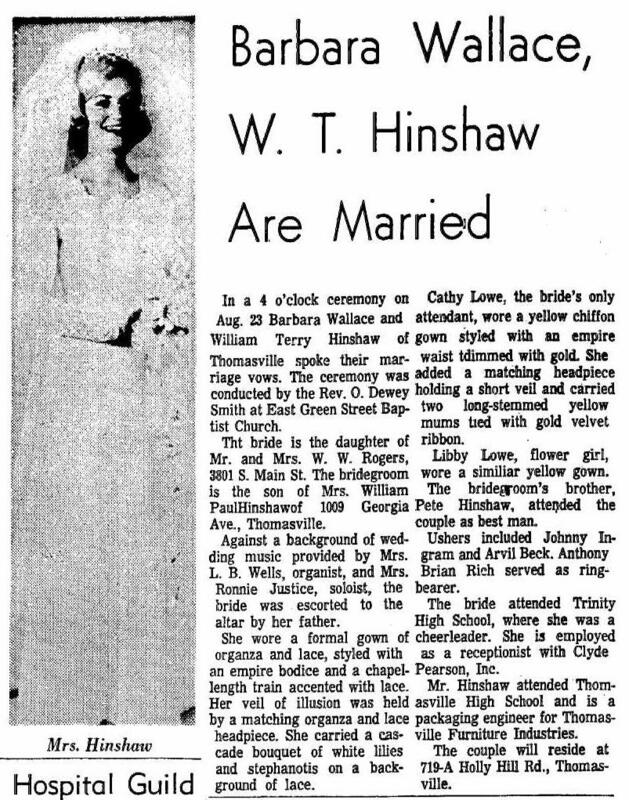 Obituary of William Paul Hinshaw.